I've been away from this blog for a week. That was not good. While away from blogging, I went for plastic surgery to improve my looks. 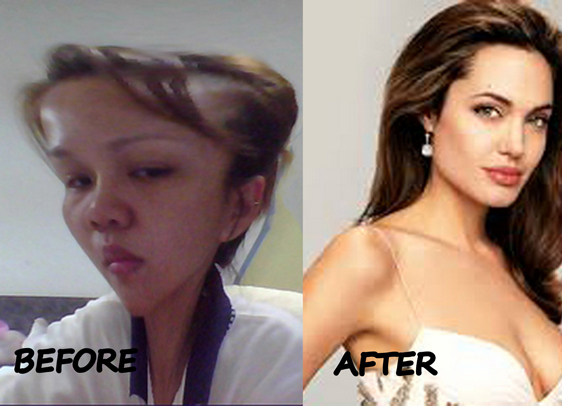 Malaysia's plastic surgeons are indeed marvelous. I'm not saying this because of their sponsorship but I'm just so glad that things are done far far away from ordinary. *Whisper* That Wilshire Medical Centre can change your manhood confidence you know.....??!! and everything will be kaw tim!!!! but in your blog post testimonial, you gotta to expose you manhood too. Oh yaaa!! Another one critical reminder for all the gentlemen who are interested in "manhood confidence" surgery.. When you fill up the "agreement form" before your surgery, you have to tick the right column. Read carefully, please read 3 or 4 times like that. See the list below. This special procedure is irreversible, once done forever done. If you accidentally ticked the 3rd one, you'll become kung-kung, and that's it. End of your world. For rhinoplasty or chin implant, not much worry. If you dissatisfied, feel free to apply leave and go for it again. Aiya... don't talk too much lar.. here's the BEFORE and AFTER pic for your self evaluation. Anyway, who wouldn't love to have Angelina Jolie lovely looks? I'm one of her biggest fan. The info here is inaccurate. I didn't go under knife too. Please visit Wilshire Medical Centre if you are serious about plastic surgery. Uiii serious??? U had a nose job ka?? WAAAAAAAHHH I wanna see!!!!!!!!!!! Hmm, plastic surgery, definitely not mt thing, won't do it no matter what. 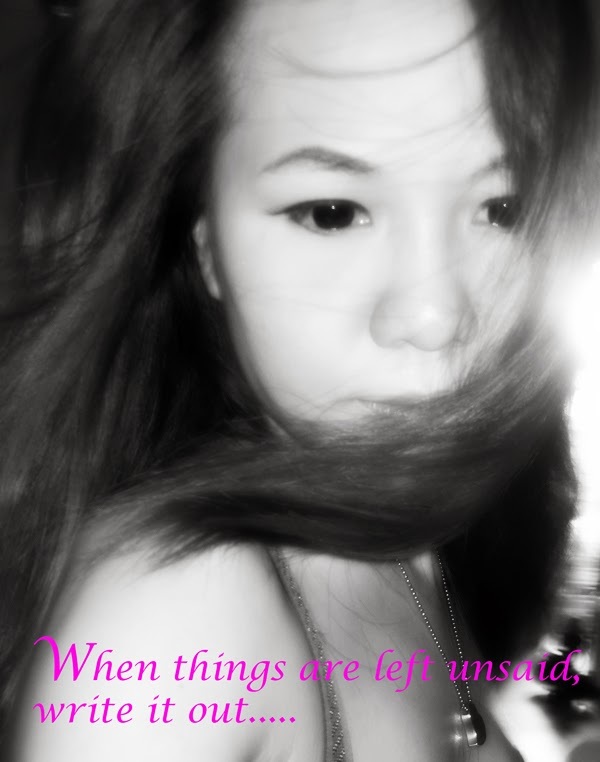 We should be contented for what we have, hehe~ And don't risk ourselves for that, that's what I think la! You already look so barbie, def no 'modification' required. My honest opinion is never say never, my childhood friend met an accident, her car was hit by 4x4, knee damaged and 18 stitches on her face almost half of her face gone. It was repaired by plastic surgery. You look perfectly okay, so you must be pulling our legs!! Oh.. very kind of you to say that gorgeous mummy! Thank you so much. Wahhhh!! first time I read about a plastic surgery from a blogger. Seriously? You should really show your face before and after the surgery in this blog. no la von.. me and my life super ordinary. Bet you now looking a million bucks. As for me, I'm a big coward where hospitals, doctors, whatever involving injections or cutting up....you'll see smoke coming out of my shoes, ha ha, running away. Good read. Thanks for sharing your personal experience. For a list of plastic surgeons or plastic surgery clinics in KL, please feel free to visit us. I think sharing your personal experience of surgery with everyone through the blog is such a nice thing because anyone who is planning for surgery , also visit such types of blog & feel confident before surgery. Nice post. Thanks for giving the informative and helpful information. Nice Blog. Thanks to share this useful blog. If anyone interested to get best quality liposuction surgery in India you can get an appointment at Dr. VJ's Cosmetic Surgery Centre. Great information!! Actually worth reading about Plastic surgery malaysia. Browse www.ncog.com.my and find listed clinics with us for face lift without surgery. Malaysia’s best doctor and clinics are listed with us for plastic surgery.